Vintage Murano glass 5 light candelabra, Italian, circa 1920s. 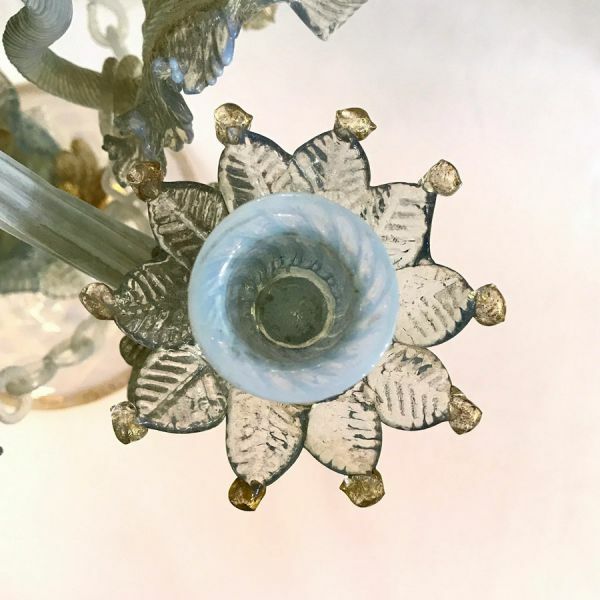 In beautiful pale blues, clear and gold hand blown glass. The chain is original and intact. Overall, it is in good condition with minor loss appropriate for the age. 21” high, 15 1/2” at the widest.